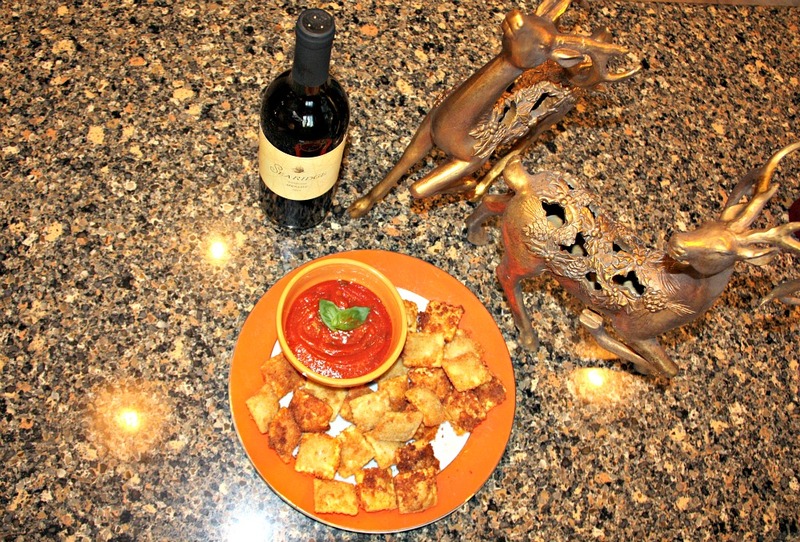 Nothing says it’s the holidays better than warm, delicious, comfort food. And nothing says comfort food more than pasta. Who’s with me? 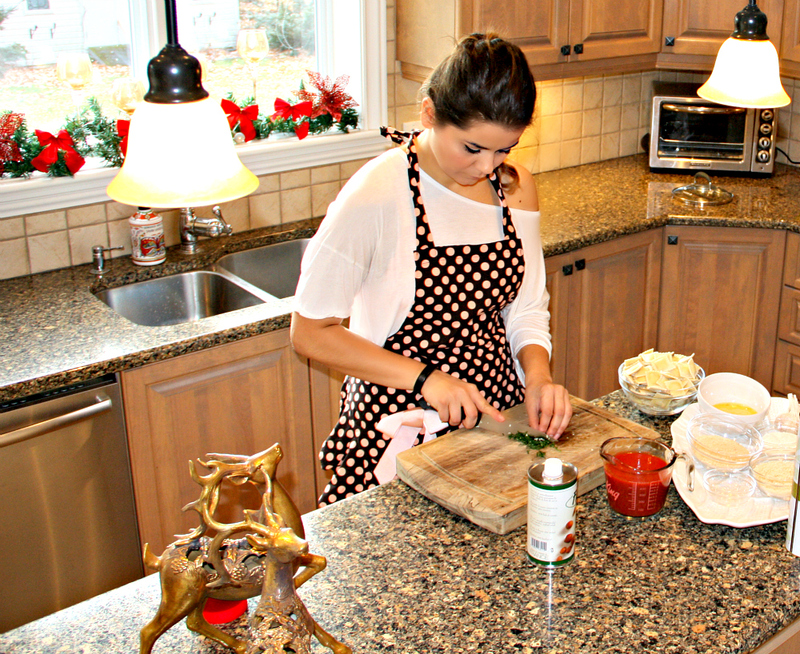 This week I worked with Ricardo Cuisine for a perfect holiday appetizer that the whole family with love. I know this for a fact- I tested it on the family this week. Let’s just say I heard the word “addictive” several times. The key to it’s success – fresh pasta. I got mine locally at a Italian market where they make it fresh daily. 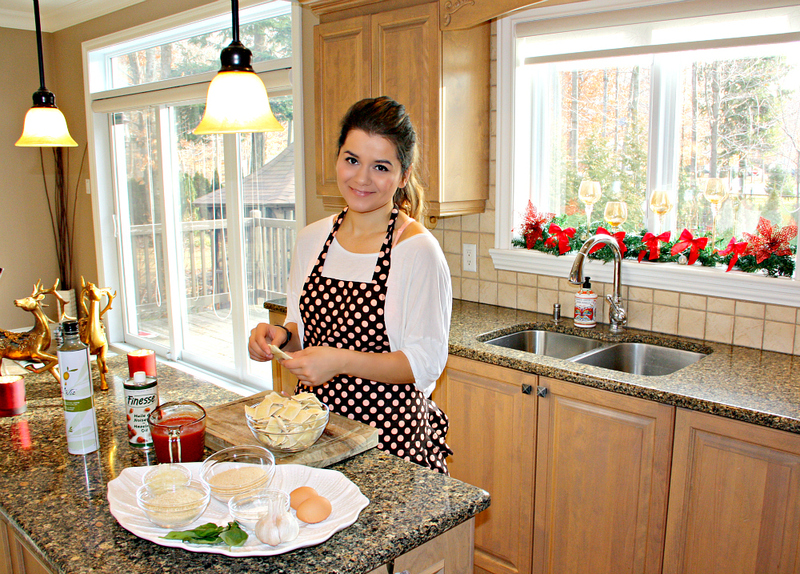 Although I would have loved to make it myself if I had a ravioli press. Seems easy enough and you can customize the filling to your hearts content. fresh pasta (I used about 60 raviolis, but depends on how many people you are feeding). 1 clove of garlic (I used 2- I am Romanian after all). 1/2 cup of all-purpose flour (I ended up using whole wheat). 1 cup of panko breadcrumbs. 1/4 fresh basil (bonus, your entire house will smell incredible). seasoning (salt, pepper, Italian seasoning, etc. – I personally love life a little spicy – so I added some chili). Note: The recipe also calls for a deep-fryer. This I do not own, so I used a regular saucepan with Hazelnut Oil. It has a high heat point and gives a delicious flavour to the pasta, and it a healthier alternative. I used about 250 ml. Dice up the onion and garlic in teeny tiny pieces and put them to soften with some olive oil in a pan on medium heat. Add basil, bring to a simmer and set aside. 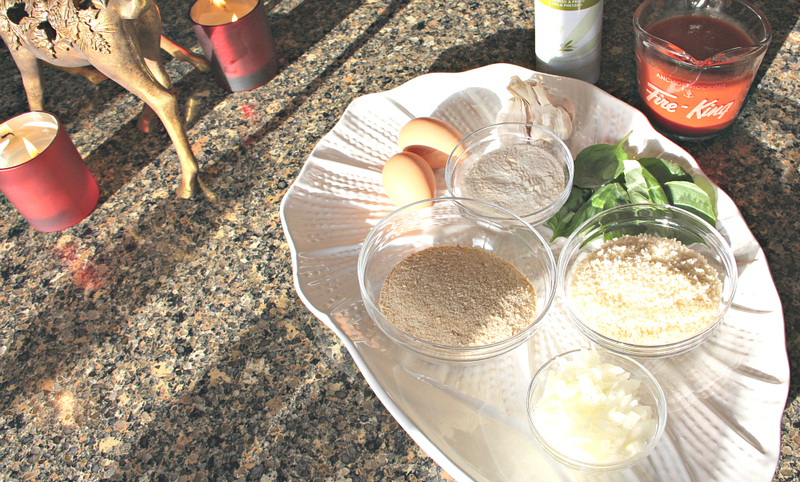 Mix the breadcrumbs and panko together. 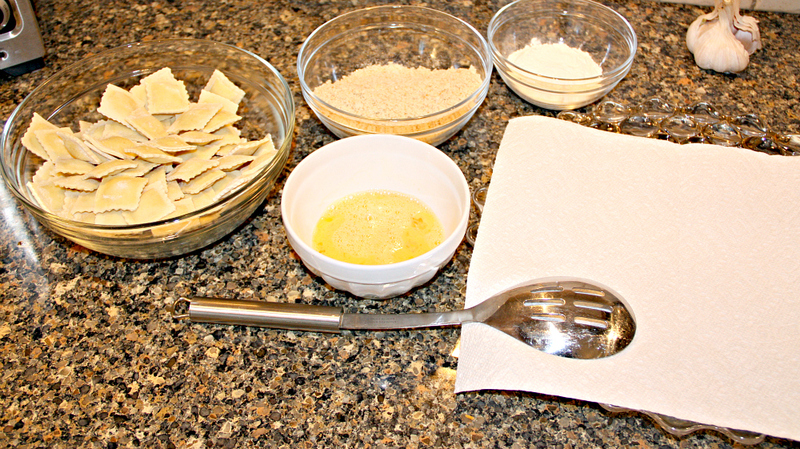 Dip each ravioli in flour, then egg then the breadcrumb mixture. Coat evenly and put in the saucepan with hazelnut oil. Tip: Since I didn’t use a deep fryer it was a little more challenging to manage the temperature of the Hazelnut Oil, I suggest trying one ravioli first to make sure it’s not to hot or not too cold. 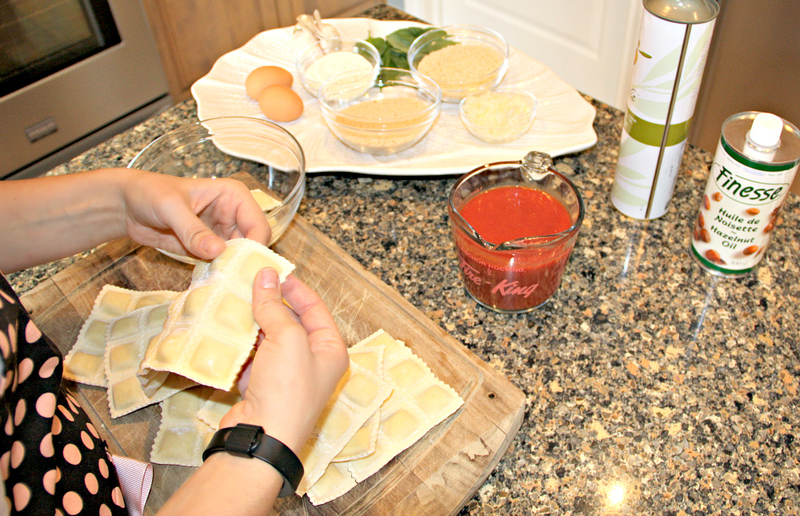 Each ravioli took me about 5 min to cook, but I was doing about 12 at a time. As the months get colder, our stomachs and souls need comfort and warmth and this is delicious and easy way to make that happen and bring the family together.